Videos and Media!Newest Video!0.5.0 Update! Older Videos! 0.4.3 Update! Green Temple and a Surprise! Release Video! This mod (plugin, a patch to Minecraft source, henceforth "Mod" or "The Mod"), by the terms of The Minecraft Forums is sole property of the Mod author (Taklok or the Shur'tugal Team, henceforth "Owner" or "The Owner"). By default it may only be distributed on minecraftforums.net on this thread, or my twitter (@taklokthetroll ). It may only be mirrored or reposted with advance written permission of the Owner. Electronic Mail is fine if you wait for a response. URL shorteners or other attempts to make money off The Owner's Mod are strictly forbidden without advance written permission. 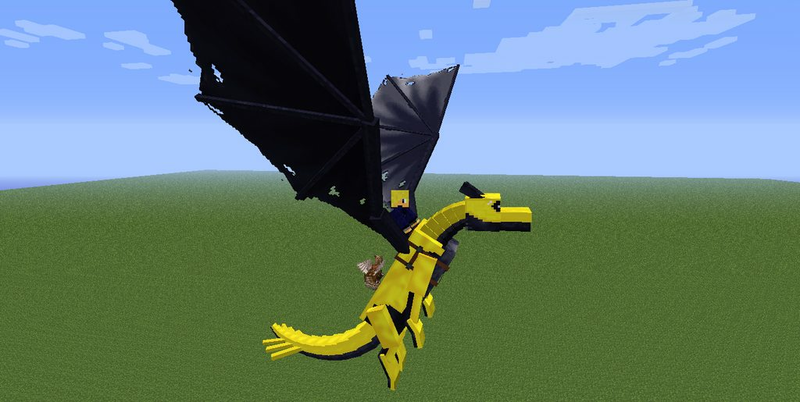 Thanks to BarracudaATA for making his awesome Dragon Mounts mod Open Source! Check it out!And a small thanks to Celicam for the re-done front page. And I think I've filled in all necessary info. Enjoy! OMFG THIS IS HAWT ****! very nice, i love the eragon series, gl with this! Thank you! I'll be sure that it does NOT crash and burn this time. And it will be better than that terrible movie adaptation. -What Position are you applying for? I'd like to apply for a code position. Or a texture position. Anything to advance the development of this mod, really. -Examples of past work relating to position. -Do you have Dropbox? Skype? -How often will you be available to work on the mod? -What other skills do you have that would be valuable to the team? Great photoshop-type artist, lots of ideas, might be able to recruit some others as well. PS - I'm actually in the middle of re-re-reading Inheritance book, what luck! I may have only read the first book, but that doesn't keep me from supporting this. Good luck with it, I hope you guys succeed in making this! Will do! Some very basic coding has been done today! I'll be sure to PM you when we actually have something showable. Thank you! I love the support from everyone! I can help with the coding! -Examples of past work relating to position. The Hunger Games Mod. I helped develop it, and still am. It's the current HG mod farthest in progression. If you want any more evidence, I can provide links. -Do you have Dropbox? Skype? Yes, both. -What other skills do you have that would be valuable to the team? I am a thorough coder, I am not very fast. But I do not usually have errors, a lot of my coding is not "flawless" but it will not bug up the game. Questions? Suggestions? Feel free to leave them below, and I will be sure to respond back to you! I can't wait for this mod to get started up! If idiots could fly, this place would be an airport. Thanks! I'm really appreciating all the positive feedback from the community about the project! Hey this guy Hijaked my dead mod! >: O Oh Wait, gave him permission for a reboot....In that case good luck! Ill be helping out as well. Added our newest coder (prismwyvern from The Virus Mod) to the list of coders. We do still need modelers and a mob AI specialist. Currently we have Brightsteel ore brightsteel ingot done. We are working on the Steel furnace made out of steel ingots. Steel ingots will be made with a bucket of lava coal and an iron ingot. Steel tool textures = done.